Dubai specialises in taking things to a new level. Room with a view? How about a view of the Arabian Gulf... from under the sea. The Floating Seahorse villas literally offer you the best of both worlds, being both on and under the sea. Once the first phase of the Signature Floating Seahorse villas is complete in 2018, property hunters will be able to get their hands on one of these properties that will span across a whopping 4,004 sq ft and feature three levels, the first of which will be completely submerged. As if that wasn’t cool enough, the villas will also feature a master bedroom that will look out into the sea – when you look out the window, you’ll be able to see the fish swim past. The family friendly home will also feature an entertainment room that will play host to an impressive 600 sq ft coral reef garden. Each of the 90 signature edition villas have been inspired by Emirati culture and lifestyle, with designs that can be customised according to your taste. To ensure ultimate privacy, the outdoor area can be completely covered by enclosing the space both at sea level and the upper deck. Each villa can accommodate up to eight adults and eight children making it the perfect option for families and larger groups. 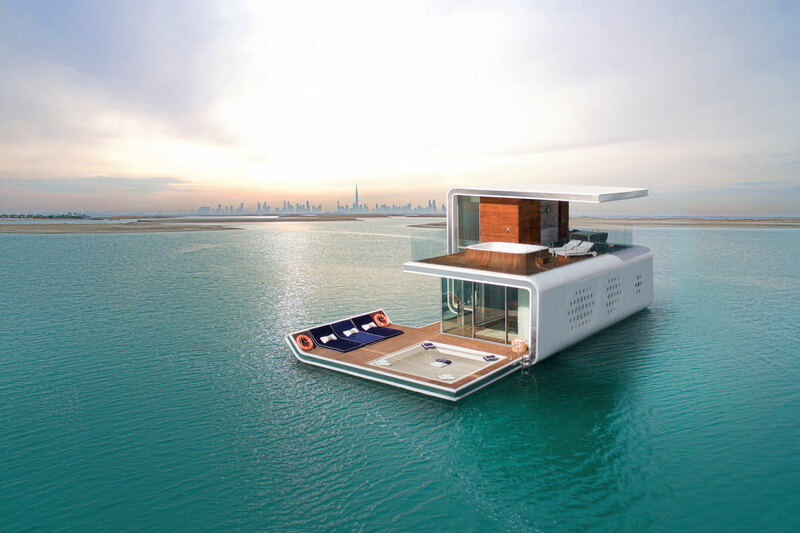 The price of the Signature Edition Floating Seahorse villas starts from AED9.5 million (£2 million), with the price increasing based upon your customisation request. “We worked tirelessly to make sure that the Floating Seahorse was everything we imagined it to be. Over 5,000 hours spent in research and development and 13,000 hours invested in design and engineering. We were committed to delivering excellence,” explains the project’s senior architect Marco Bolzoni. Once complete, the villas will be anchored at the heart-shaped St Petersburg island in Dubai’s man-made World Island.